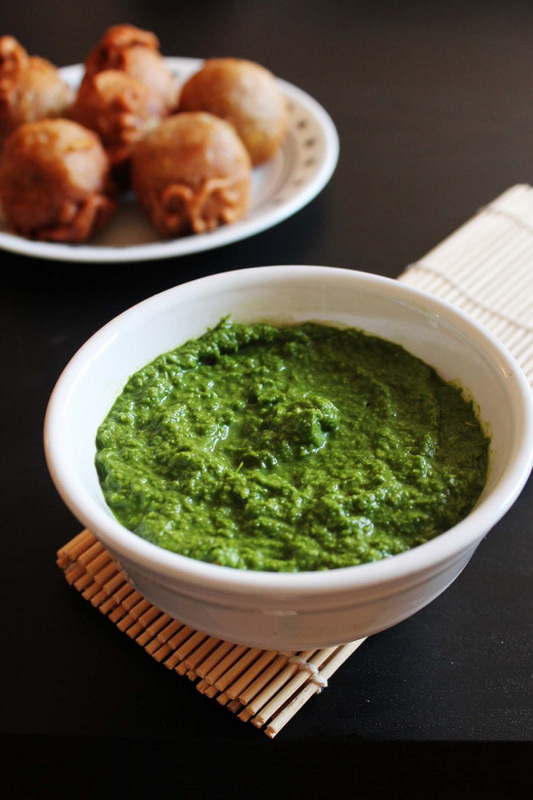 Farali green chutney or Phalahari chutney recipe – made from coriander leaves, green chilies and coconut; eaten during the vrat or Hindu fasting. 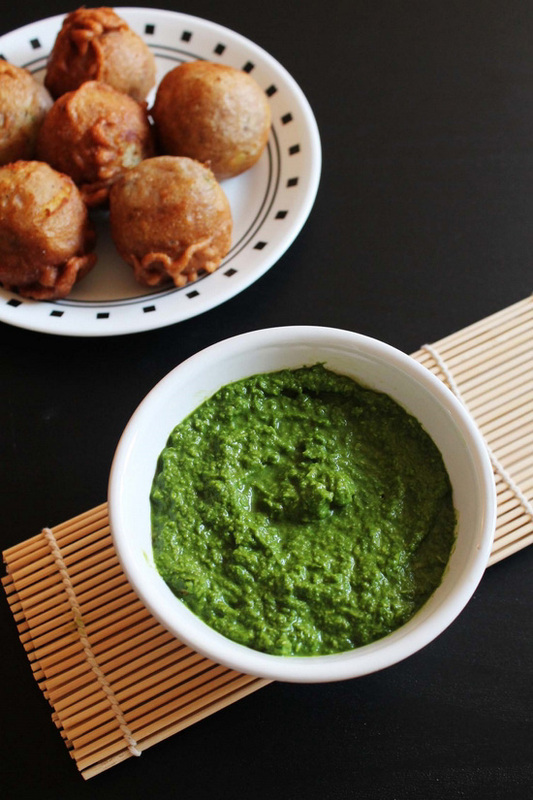 It goes perfect with farali batata vada or sabudana vada. In Gujarat, we prefix the word ‘Farali’ to any fasting food. Hence the name of the chutney is farali chutney. This chutney is also known as Phalahari chutney. Phalahari = phal (fruit) + ahaar (food or diet). That means a diet which consists fruits (it also includes dried fruits, dairy, some root vegetables and herbs). So fasting food is also called ‘Phalahari’ in some part of India. This chutney is made during the vrat or upvaas. As Navratri fasting going on, I have made it yesterday to serve with upwas ke batata vada. Apart from this chutney, I do make the coconut chutney for vrat as well. For the variation, try adding some mint leaves. Or even you can substitute coconut with peanuts for different flavors. Adjust the green chilies quantity as per your liking spiciness. But all the fasting food is usually mild, so I usually make it little spicy. So when served as a dipping sauce it gives little punch in your mouth. Wash cilantro very well and roughly chop it for easier grinding. Take all the ingredients into the blender or grinder with very little water. Quick Tip – first add water into the grinder and then other ingredients for easier grinding process with less water. And grind it into the smooth paste. Remove it to the bowl and serve. Serving suggestion: Serve on side as a dipping sauce with batata vada, sabudana pakora, sabudana vada, sweet potato tikki or thalipeeth during the fasting days or vrat. I make a variant of this, where I blend green chillies, coriander leaves, onions, garlic, green pepper and dill, and then add salt and some vinegar so that it will keep for a few weeks in the fridge. I think the addition of dill is from the Caucasus region. I will try your recipe next time, as it sounds a little less fierce than mine! I do add onion and garlic sometimes. But this chutney we eat on fasting days. Thus this is simple with minimal ingredients.